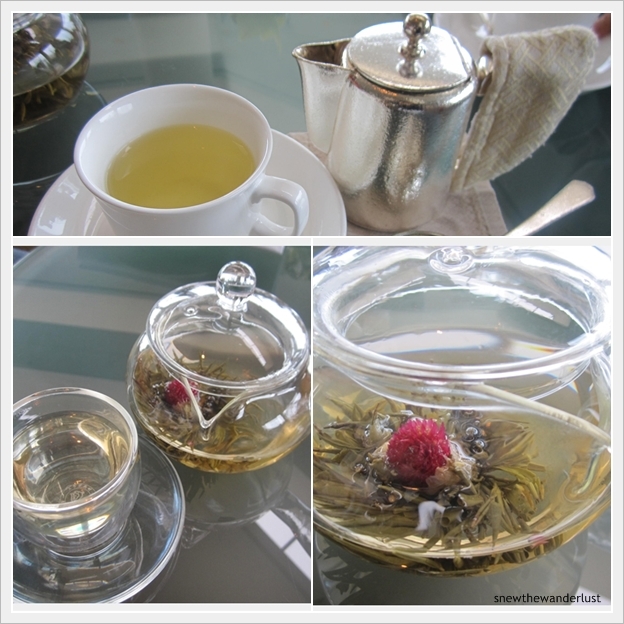 One of the thing that I always wanted to try in Hong Kong is their high tea. Especially the much acclaimed High Tea at Peninsula Hotel Hong Kong where it's famed to be patronised by the Hong Kong Celebrities. However, after reading reviews and recommendation on it's magnificent views, we decided on High Tea at Intercontinental Hong Kong. Don't be fooled by the exterior of the hotel. When I first arrived, I was honestly, pretty disappointed. I expected a five-star hotel with a grand and nice-looking exterior. However, this is what I was greeted. The browish exterior looks old and dirty-looking. However, when we stepped into it, we feel a sense of difference. It's five-star. No less. 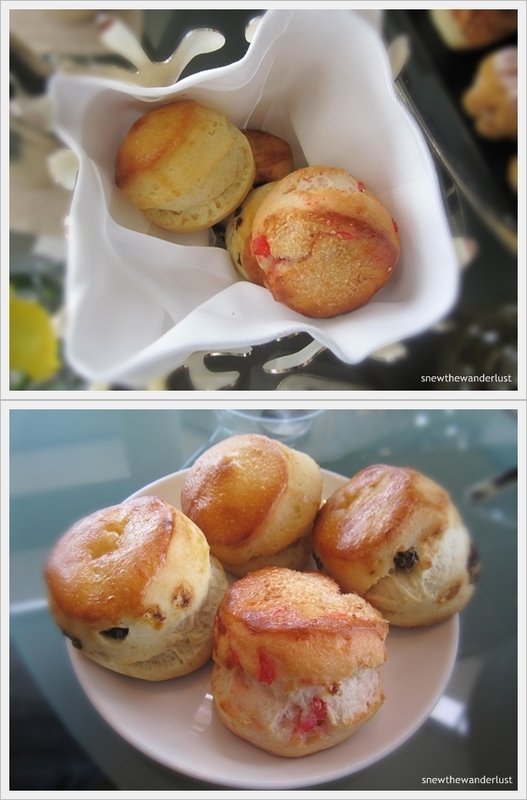 The High Tea is served in both the Lobby Lounge and Harbourside. Usually guests would choose to have the High Tea at the Lobby Lounge as it gives a full length spectacular view facing Hong Kong Island. However, that day, the sky was unclear and the weather was pretty misty. It was going to rain and we couldn't really enjoy the spectacular views. There ﻿are three of us, but reading from the reviews, set of 2 is more than enough. True enough, we are already stuffing our face till we are just so afraid of the sweetie cakes. The set for two includes selection of mini-sandwiches, sweet pastries and mini-cakes served with selection of jelly, jam and cream, and 4 scones. Not forgetting, choice of tea or coffee for two is also included. 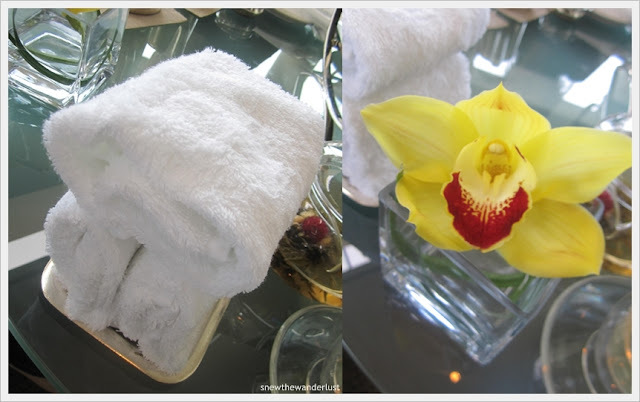 We were served with warm towels to begin our high-tea session. Truely five-star service. Tea was next served. As the High Tea set comes with two servings of coffee/ tea, Ms Sumo added another tea. Top - is my Fuji Yama Tea - Green tea from Mt Fuji. Below - Ms Sumo's Calenbula Beauty - which is Marigold flowers with Jasmine Tea leaves. Both tea are nice with a good aroma and sweet aftertaste. Served together with the mini-sandwiches and mini-cakes are three kinds of toppings. From the right, Raspberry Jam, Devonshire Clotted Cream and Earl Grey tea jelly. The sinful me prefers the cream most. It's only right to taste the savory mini-sandwiches first. 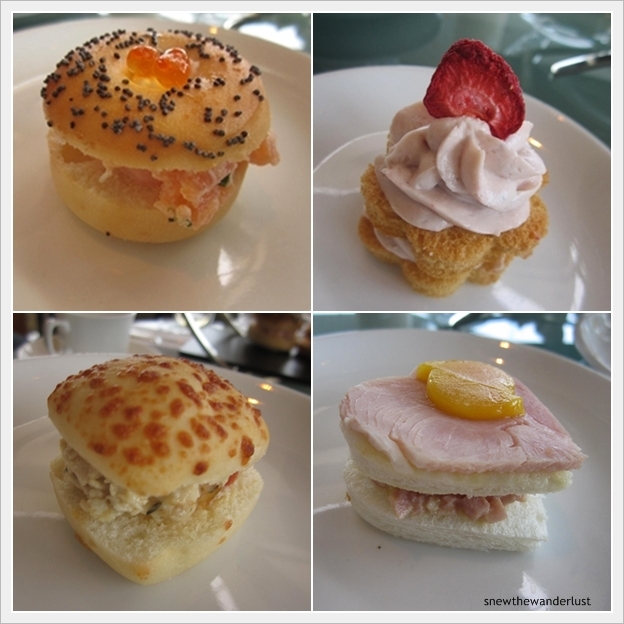 From top left clockwise - Smoked Salmon and Prawn Bagal, Raspsberry Cream Sandwich, Ham & Peach Sandwich, Egg Mayonnaise Foccasia. All in mini-sizes. Don't be fooled by the photos. Sweet Tooth? We were actually pretty full when we finished the savoury items. Not much room left for the sweety cakes. Clock-wise from Top Left - Chocolate Raspberry Cake , Lemon Cheese Cake, Coconut Brulee with Poached Raspberry, Pear Tart and Macaroon Chocolate Cream Sandwich. As we thought that our feast is over, we were served with a surprise dessert - Lychee & Rose Panecotta. By the time we finished, it was 6pm. We had a good 3hrs of high tea. There are three of us and we could barely finish the set of two. I really wonder how the lady next table, could finish a single high tea set all by herself. She was reading a book and slowly enjoying the high tea. Would you do this? Damage: Approximately HKD550, equvilent to S$90. Per Person about S$30. 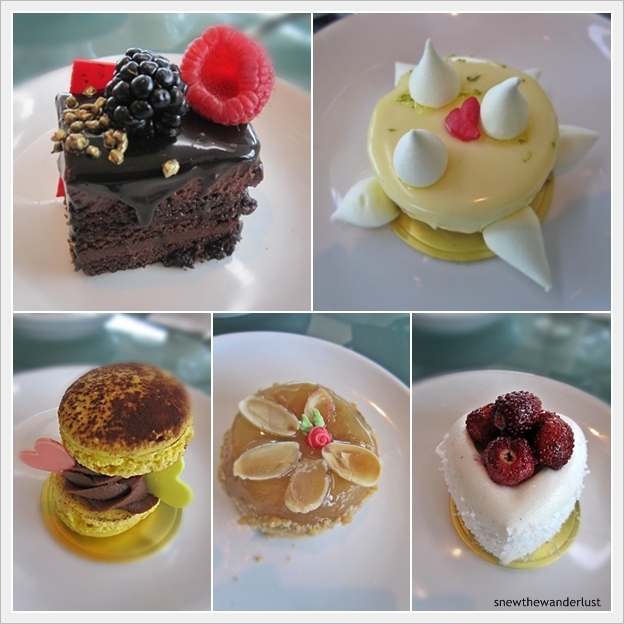 Given the view, service and amount of food, the high tea is totally worth it to try it. I believe enjoying Happy Hour at the Lobby Lounge, would be great too! Picture this, sip a glass of Martini while enjoying sunset or beautiful night view skyline of Hong Kong Island. In addition, there's also a band playing in the lounge. Where would I be going in 2012?